No matter where you go, a good and Instagrammable café is always on your list. What could possibly be better than chilling with a cold cup of coffee after a long day in the sun? And if Bali is where you’re heading to, then fret not for it’s more than just a paradise for beach lovers and party goers! 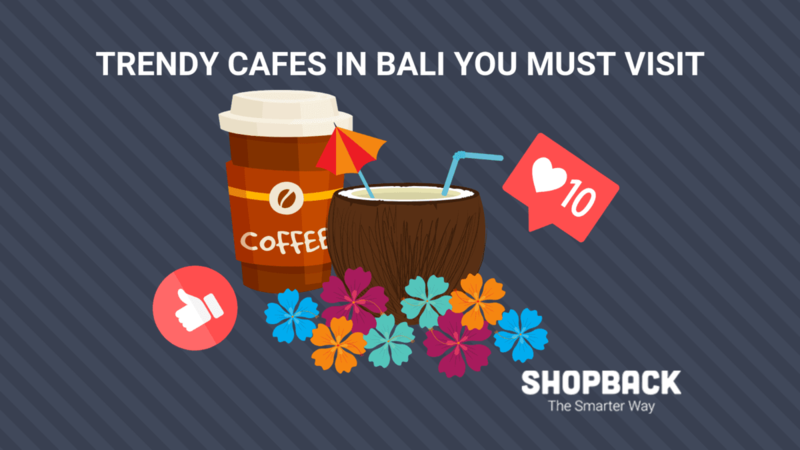 The cafes in Bali -as we know it- are one of its kind, with the perfect balance of trendy interior and good food. So here are some of the best ones that you should definitely check out while you’re there! For more travel deals and more travel inspiration, keep an eye on our travel deals page and be the first to score all the grand Cashback upsizes. This hipster café is literally one of our favourites right now. We absolutely adore the cozy yet rustic interior; its cute potted plants, guitars and wooden chairs -with throw pillows for extra comfort. Revive first opened for business early last year, and has since garnered quite a bit of attention from tourists and locals alike. 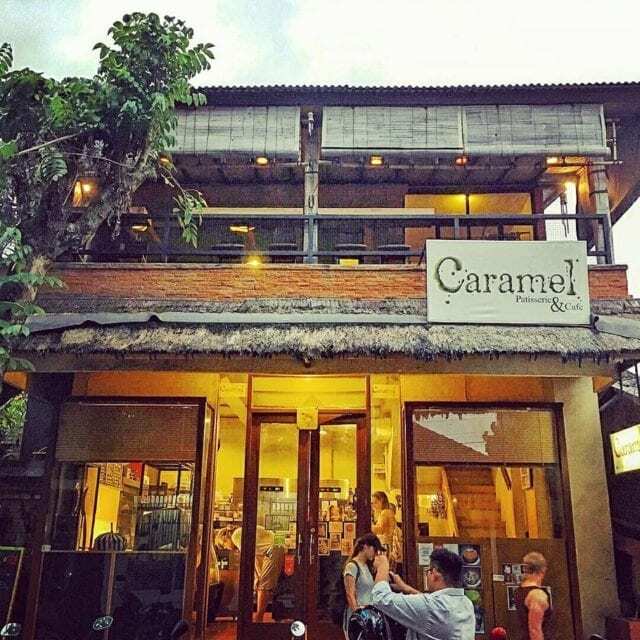 It is situated in a quiet corner of Penestanan Village, Ubud and serves one of the best coffee you’ll ever taste. Apart from that they also offer a wide range of delicious food! So be sure to give that a try too. 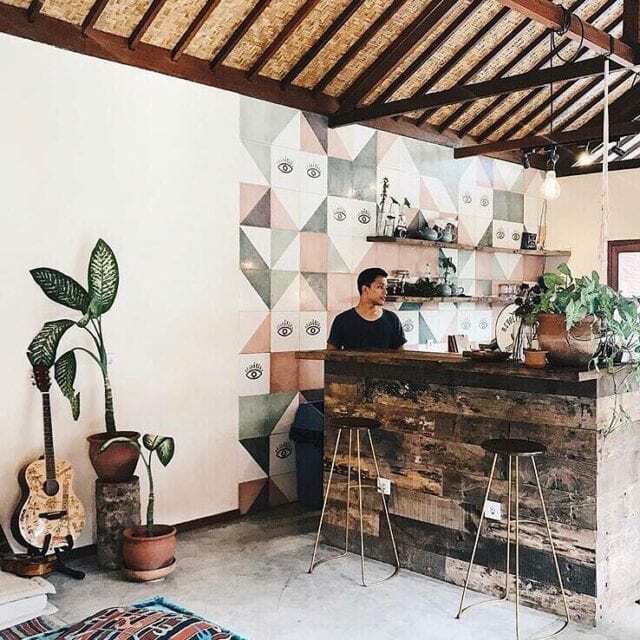 Located in the tropical paradise that is Seminyak Bali, this café stands out in every sense; from its stunningly vibrant interior to spot on Mexican vibes and delicious menu range. This café is the perfect place for a chill afternoon of drinking and snacking. At night it turns into a party place. And for all you sweet-tooth people, don’t forget to grab a bite of their mouthwatering desserts! Yes, you read it right! 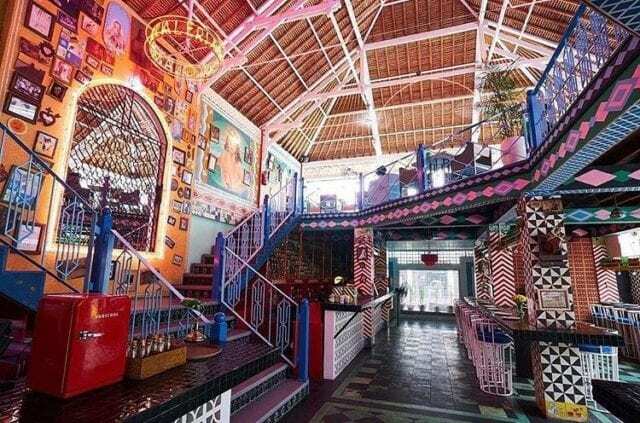 This one of a kind café is located right under a gigantic parachute in Canggu. Its wooden deck is lined up with lounge chairs and short tables giving you a total minimalistic vibe. 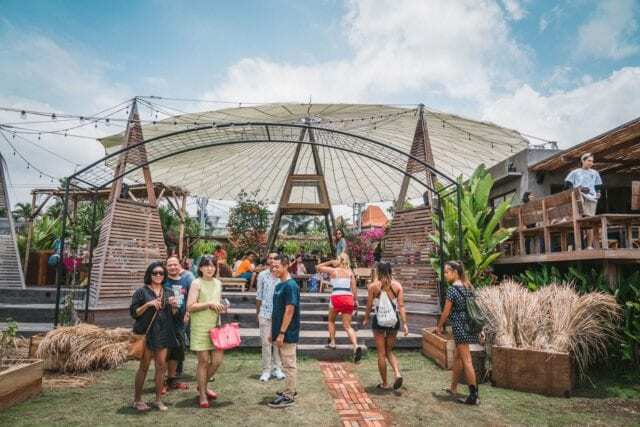 Apart from its gorgeous setting, picturesque view and undeniably delicious range of food, Parachute Bali raises the bar with its Farmers Market (held on every Saturday). While parents shop for fresh vegetables and other items, kids are entertained with groovy music and fun games! Also, don’t forget to try out some of their freshly baked pastries and bread –which is served from 6am. This typical Balinese-styled café is a double storey shop in Ubud, where you can sit on the first floor to enjoy the stunning view of Goutama Street while the crisp Bali wind softly blows through your hair. If you have a sudden craving for desserts and all thing sweet, then this is the way to go. You will not be disappointed with their splendid selection of desserts such as macarons, cakes, pastries and tarts. Also, customisation for desserts is available upon request for occasions like wedding and birthdays! Revolver Espresso first opened their doors to customers back in 2011. This tiny coffee shop has garnered quite some attention thanks to its freshly brewed coffee, and an absolutely stunning interior. 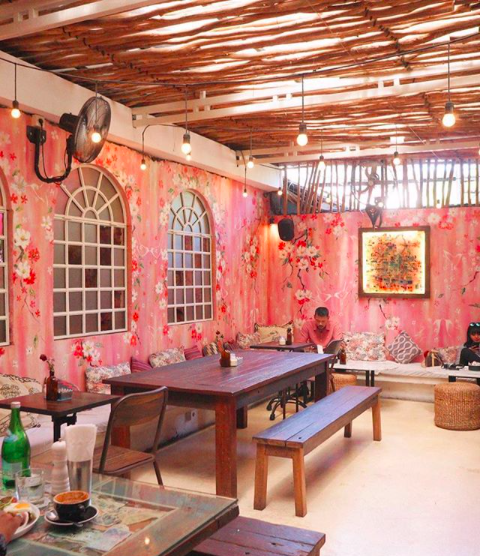 The walls gorgeously stand out with a floral mural, and the café adorns potted plants and coloured windows, making it all the more attractive. Apart from their delicious cuppa coffee, they also offer a wide array of scrumptious sides, mains and desserts for all you foodies! Drifter Café is the perfect fusion between vintage and modern, what with its wooden interior yet minimalistic design. However, its outlook isn’t the only admirable thing in this café. Their delicious range menu with freshly cooked food that serves all -regardless of preferences- surely scores a lot of brownie points. As for drinks, you can opt to have a taste of Indonesia’s finest coffee, or perhaps go for a refreshing glass of cold-pressed juice instead. Blink while you pass by the street and you will miss it. 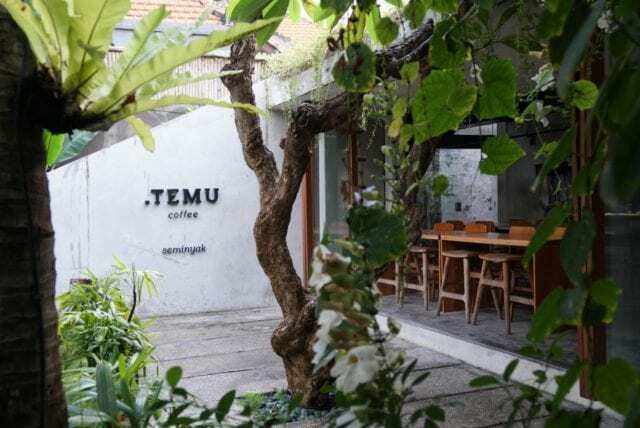 Titik Temu Cafe is hidden on a small alley away from the hustle and bustle of the main street. 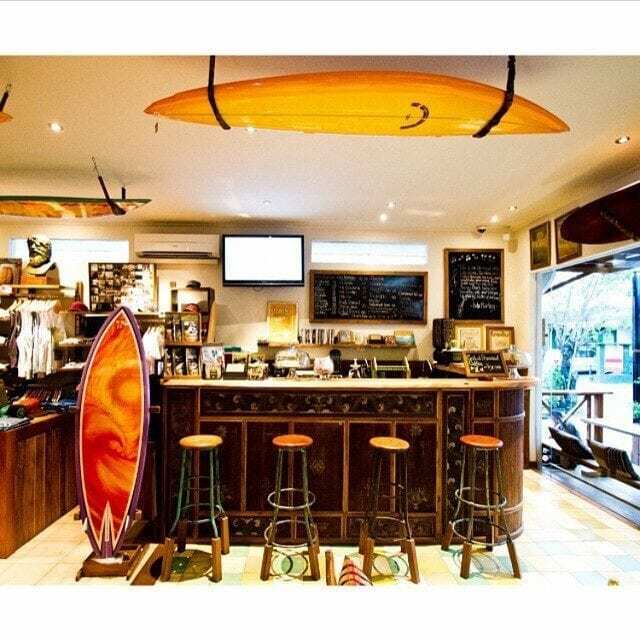 This cosy cafe is a refuge where you can eat and drink good coffee in a relaxed fashion. Their rooftop wooden seating is unique and perfect for a couple Insta shots while having a chilled latte. 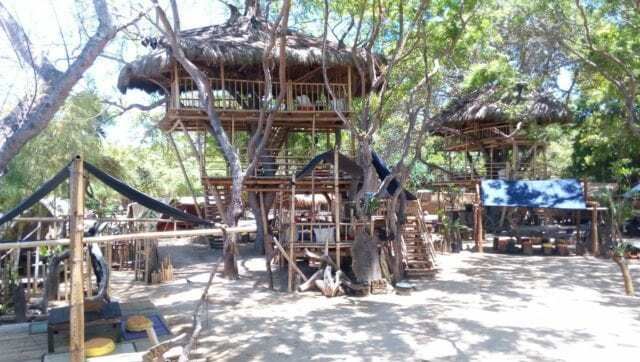 This is the pirate-themed open-air cafe and restaurant that you need in your Bali vacation. Right on the beach front and surrounded by trees, the hideaway offers warung style food, coffee, ice cold juices and plenty of activities to entertain the entire family. Sit at one of the tree houses and enjoy your day. Right on the middle of a paddy field, Cafe Pomegranate is the perfect peaceful spot to watch the sunset of a hot or cold drink. As the sun goes down, you can spot some fireflies flying around. Come and try their smoothies and their fusion menu. 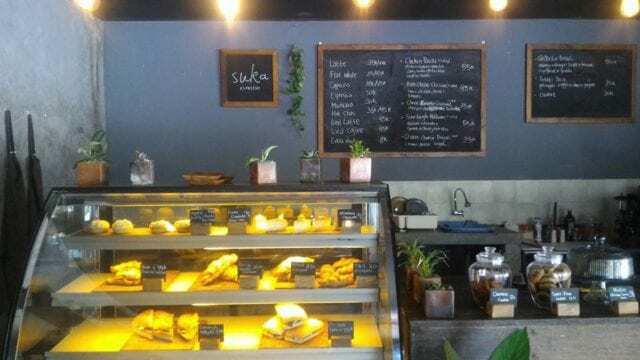 Suka cafe prides itself in serving speciality coffee sourced from Indonesia and South America and roasted locally in Bali. Besides having a good cuppa, try their pretty desserts, breakfast meals, sandwiches and healthy bowls. 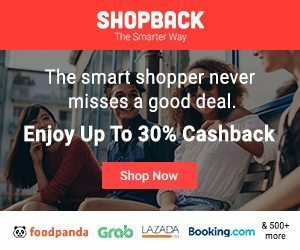 So if this hasn’t convinced you to book a holiday to the beautiful Bali, then maybe these crazy Agoda upsized cashback (from 31 Jan 1am – 2 Feb 1am) will seal the deal! For more travel recommendations and articles, join us on our Telegram channel. 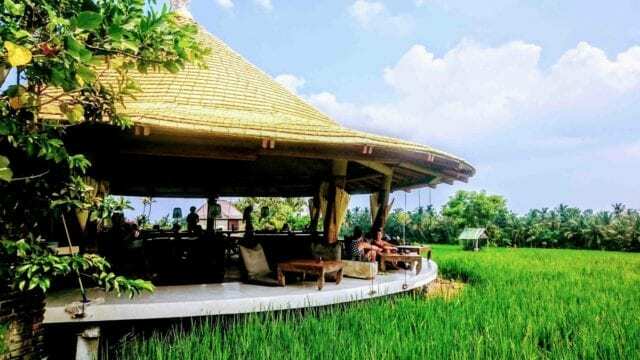 Things To Do In Bali: Fun For Every Kind of Traveller! 10 Feast-Worthy Foods In Bali That Are 'Belly' Good! Do you love to write and would like to see your work published here? Check how you can guest post here.